Support REAL ESTATE and BUSINESS MEMBERS by choosing to do business with people and companies who Give Back to the communities they serve. 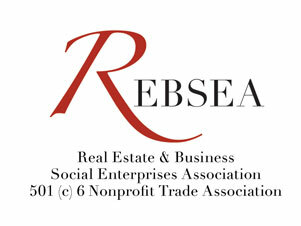 Ask any Real Estate Agent to work with you by becoming a REBSEA member and donating part of their commission to a worthy cause. Support worthy causes for FREE! Receive Newsletters and Blogs FREE! Learn about how businesses and philanthropy are merging in many creative and practical ways to make a difference in YOUR community.